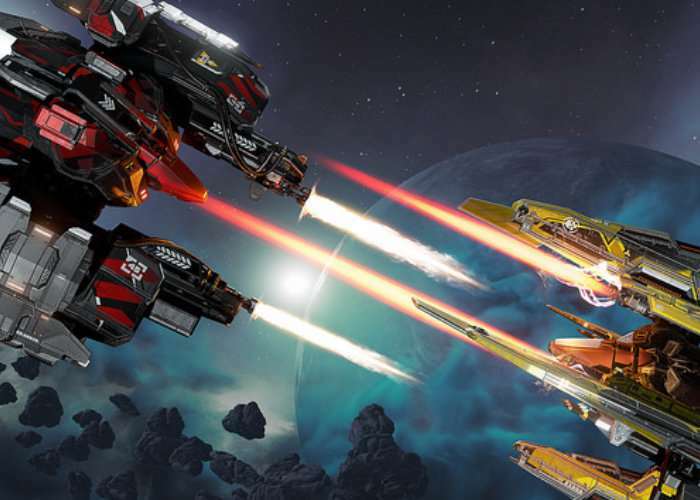 Gamers looking for space shooter action in EVE: Valkyrie but don’t currently have a PlayStation VR headset, will be pleased to know that a new expansion is being released early next month in the form of EVE: Valkyrie Warzone on September 26th, 2017. T That requires no virtual reality headset to enjoy. Andrew Willans Lead Game Designer at developer CCP Games has taken to the official PlayStation blog this week to reveal more details about what you can expect from the new update. The Warzone expansion introduces a huge range of exciting new features, with the biggest game changer being support for both standard and VR gameplay. PS4 and PS VR gamers will be able to fly and fight alongside each other in EVE: Valkyrie – Warzone, both in and out of virtual reality. We look forward to seeing the already intense competition between Valkyrie pilots going up a notch, as more players from around the world will be able to join existing pilots for all-action space-dogfighting battles. But that’s not all – not by a long shot. This expansion is a complete overhaul for the game, making EVE: Valkyrie – Warzone an entirely fresh experience. Better yet, it will be a free download for all existing Valkyrie pilots, with the complete package coming down in price to $29.99 SRP for new recruits. For more details on the new reward system, enhanced features and improved gameplay jump over to the official PlayStation blog via the link below.